08.07.2014 The housing markets in Sofia and in the beach resorts of Bulgaria continue to prove that they are stable. This year they are joined by some of the ski resorts in the country - Borovets and Pamporovo. This is our brief summary about the Bulgarian property market on the basis of the data of the Bulgarian Registry Agency with regard to the number of real estate deals for Q2 of 2014. According to the Registry Agency, an increase of 1.3% was registered in the capital Sofia on an annual basis. In Q2 of 2014 the number of deals in the capital Sofia is 5157, which makes about 85 sales per working day on average. The housing market in the country is stable and this is also confirmed by the increased number of new mortgages signed during the period April-June, which are 7,865 or 5% more than the same period last year. A growth of 12% in sales was reported in Nessebar, which includes sales of properties in areas around Sunny Beach. 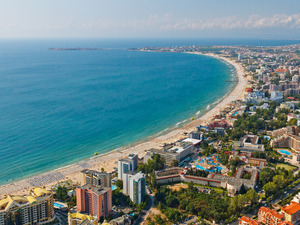 Sunny Beach and the region are traditionally popular among the Russian buyers and their interest helped this segment to emerge from the crisis. There is a significant increase in the deals signed in the spa resorts like Velingrad and Sandanski. The ski resorts that attract an interest of Bulgarians are Borovets and Pamporovo, which saw a growth in sales as well. The sales in Samokov, where are registered the deals with properties in Borovets, increased by 10%, while in Smolyan and Chepelare sales rose by 23.6% and 27.5%, respectively. The decline in sales in Bansko and the region continues - the deals registered in Razlog decreased by 12% compared to the second quarter of last year. In the second half of the year the property market traditionanly becomes more active. We expect more sales to be concluded in the coming months before the end of the year which will once again confirm the market is at a new stage of recovery and steady sales growth.